Based on an exclusive memorandum of understanding, Australian EPC Decmil is poised to design and construct one of the largest solar projects in New South Wales. The company is in line for a $275 million engineering contract with Chinese group Maoneng in March next year. 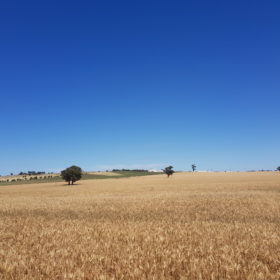 ASX-listed engineering firm Decmil Group has entered into an exclusive memorandum of understanding with Maoneng Australia for its 250MW storage-ready Sunraysia solar PV project located near Balranald in New South Wales. According to the exclusive MOU, Decmil and Maoneng will work together on early engineering design and finalization of an EPC contract valued at approximately $275 million, which is expected to be awarded by the end of March 2018, following an agreement on commercial terms and a successful financial close. As stated by the engineering company, Sunraysia will be one of the first solar farms in New South Wales to use batteries to store energy, adding the this will provide greater energy reliability and allow the solar farm to produce electricity during periods of peak demand rather than only during sunlight hours. The project would considerably expand Decmil’s presence in Australia’s EPC market amid tightening competition. “Decmil is looking forward to partnering with Maoneng on the Sunraysia project. Both organizations bring together complimentary skills to successfully deliver this project to the Australian renewable energy market,“ said Scott Criddle, Decmil Managing Director and Group CEO. As for Maoneng, the Sunraysia project is its second significant project in the Australian market, the first being the 13MW Mugga Lane Solar Park developed and built under the Australian Capital Territory Government’s Reverse Solar Auction.